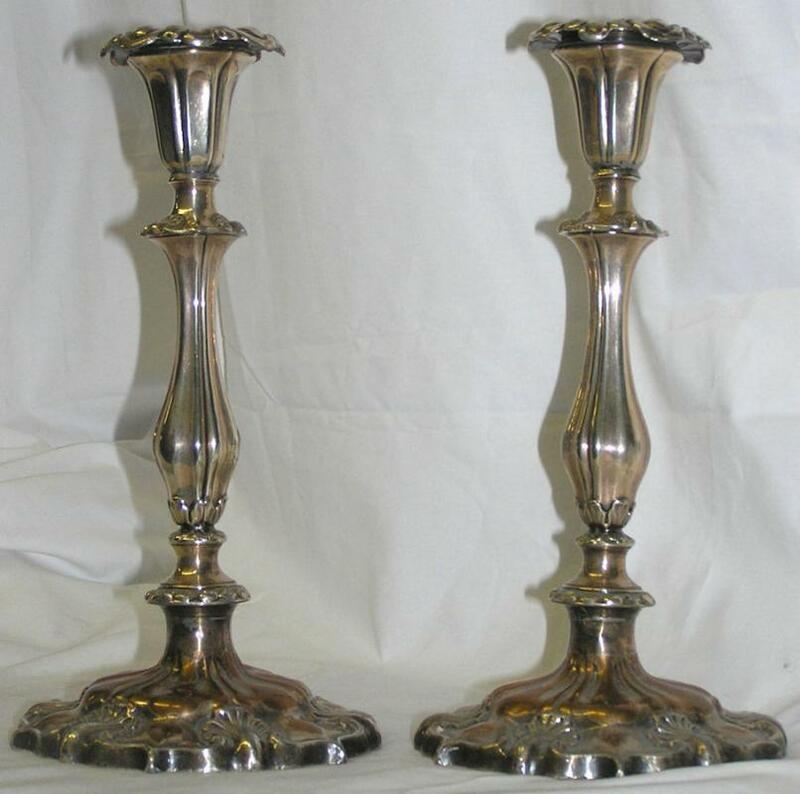 This pair of English Sheffield plated silver candlesticks date from 1843, early in the Victorian era. Each measures 10.25" high and 5.25" across, and each weighs 2 lbs. 1 oz. 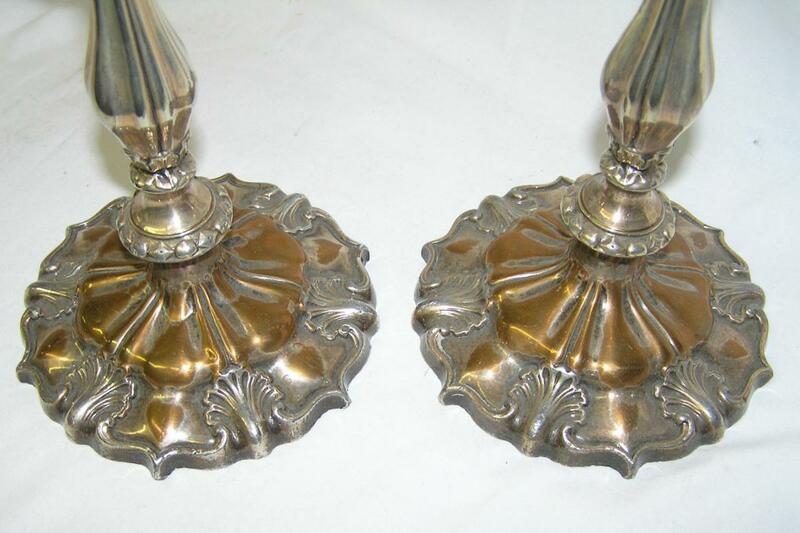 Considerable plate wear. 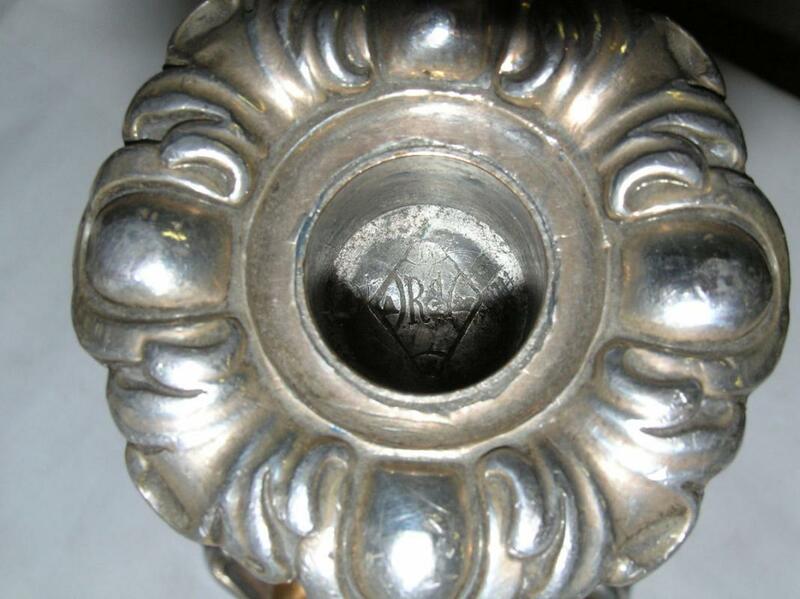 Inside of one bobeche bears the incribed mark of the English Patent Office diamond which was used from 1842 to 1883. "H" at top of diamond indicates the year 1843. "A" on left signifies January. "27" on right signifies the day of month. "5" at bottom indicates the bundle type. 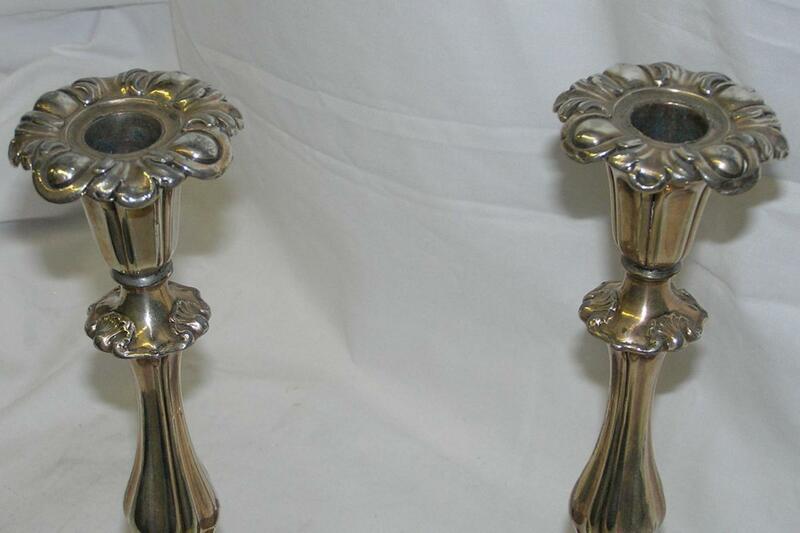 Note the four-armed sceptor on the right side which is likely the maker's mark. 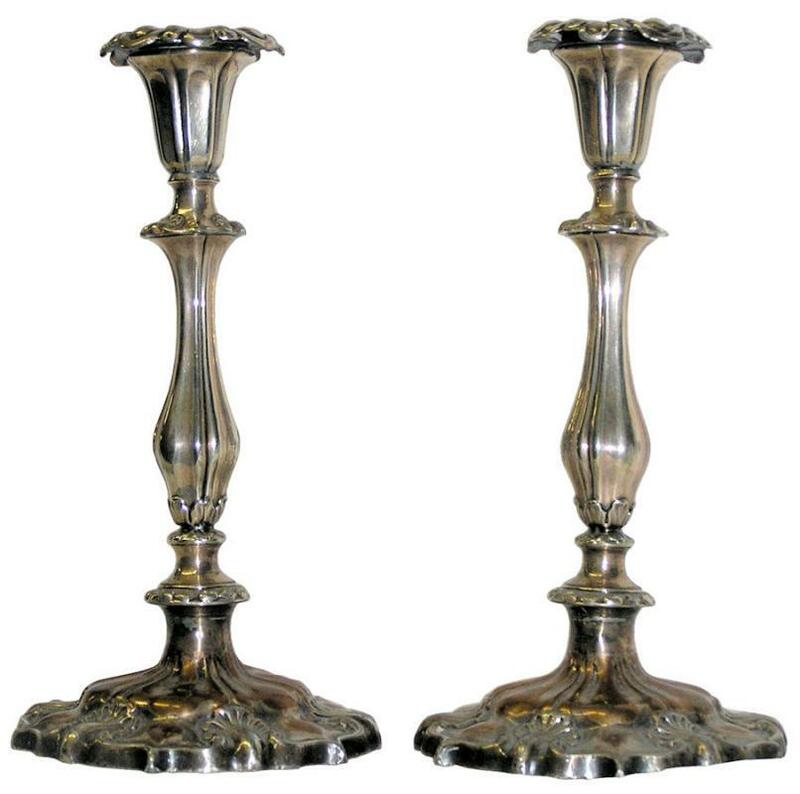 Items Similar To "Pair Antique English Sheffield Plate Candlesticks (1843)"